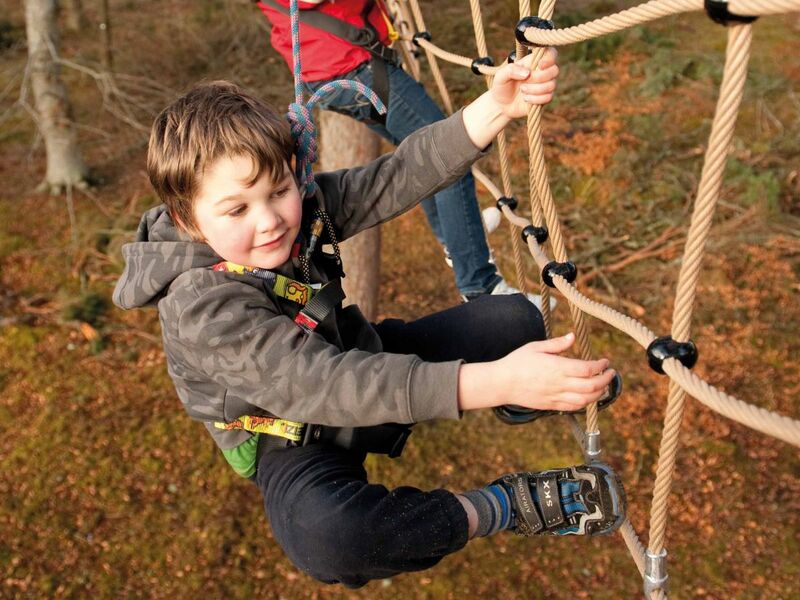 There’s a whole host of activities you can do with the kids in Aviemore and the Cairngorms, we’ve put together a list of things you can do right here at Rothiemurchus which are sure to keep you and the kids busy in the holidays! Take some time out to enjoy the beautiful scenery Rothiemurchus has to offer. Stroll or ride through the ancient forest, visit stunning lochs and admire the mountain views. Whether on foot or by bike there are plenty of routes to choose from, with over 50km of carefully maintained paths. Walking and biking maps are available at Rothiemurchus Centre and include hand-picked routes suitable for the whole family. Enquire about Bike Hire at Rothiemurchus Centre. Top tip: Voted ‘Britain’s Best Picnic Spot’ a visit to Loch an Eilein is a must for any trip to Rothiemurchus! 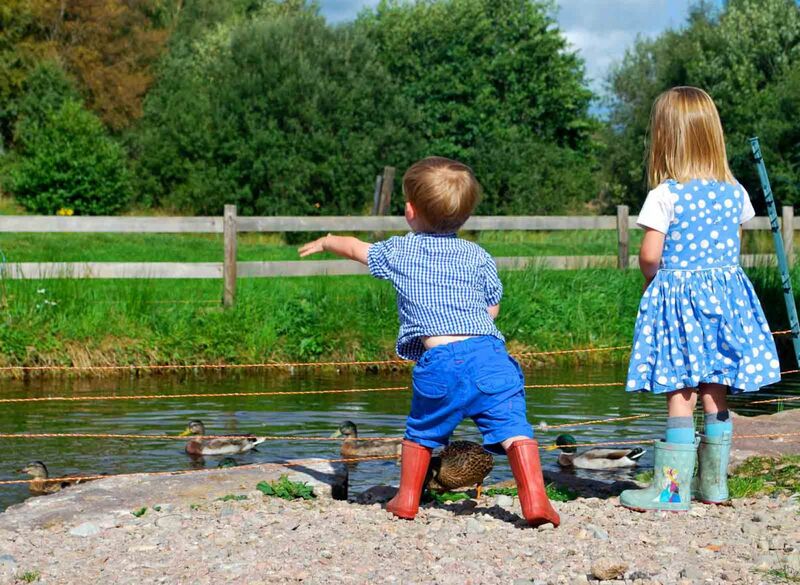 There are plenty of opportunities to get up close and personal with nature and animals at Rothiemurchus. You can hand feed magnificent Red Deer whilst enjoying fantastic views of the Spey valley, on our Feed the Deer experience. If it’s Hairy Coos you’re after, walk down to the farm with one of our knowledgeable rangers on the Hairy Coo Safari, where you’ll get to see some of these iconic animals! We also have a fantastic fishery where you can Feed the Fish, or even try a spot of fishing with our beginner lessons. Top tip: Don’t forget to take some time to look around for Red Squirrels when you are flying through the forest at Treezone! 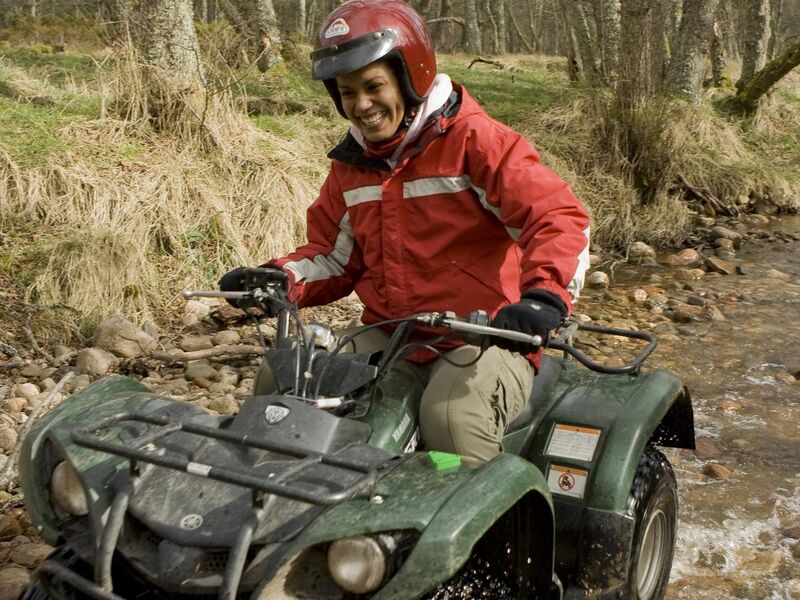 For something more adventurous, yet still family friendly, we offer exciting Quad Bike Treks which take in some spectacular views while you follow a network of tracks and off-road trails. If you are lucky you might spot some Highland Cattle or Red Deer along the way. For a futuristic experience, our Segway Adventure is a great way to explore, the Segways use space-age gyroscopes combined with all-terrain tyres to ensure you stay upright, a unique experience suitable for those over 7 stone in weight and 140cm tall height. Another sure-fire way to get the adrenaline pumping is Clay Target Shooting. Our top class instructors can assist whether you are a complete beginner or a crack shot! Minimum age 12. Top tip: Don’t forget to bring your camera! Our friendly instructors are happy to take snaps of you and your family, just ask. Ok, so you don’t always have to do a water sport to get soaked in Scotland, but if you are going to get wet, you might as well do it in style! Family Rafting is a great introduction for those new to the water, an easy ‘float’ and paddle down the river suitable for ages 6+. White Water Tubing and River Tubing is a bit more action packed! Hang on to the handles as you run the rapids and shoot through gorges and jump into deep pools, an exciting adventure for ages 12+. Top tip: Book early to avoid disappointment! Our activities fill up early in the summer months. These are just some of the great things to see and do at Rothiemurchus, take a look the full list of activities we offer on our website, or pop into Rothiemurchus Centre, just 5 minutes from Aviemore and one of our friendly team can assist you. Happy holidays from the Rothiemurchus team!